Who is going to win Patriots or Rams? We are all impatiently waiting for the answer to this question. 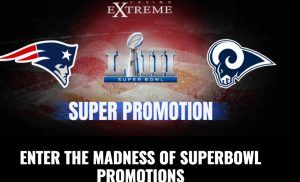 To make these days more interesting, Casino Extreme has a special SUPER BOWL PROMOTION! Join us this Super Bowl Sunday with your ticket to the game. 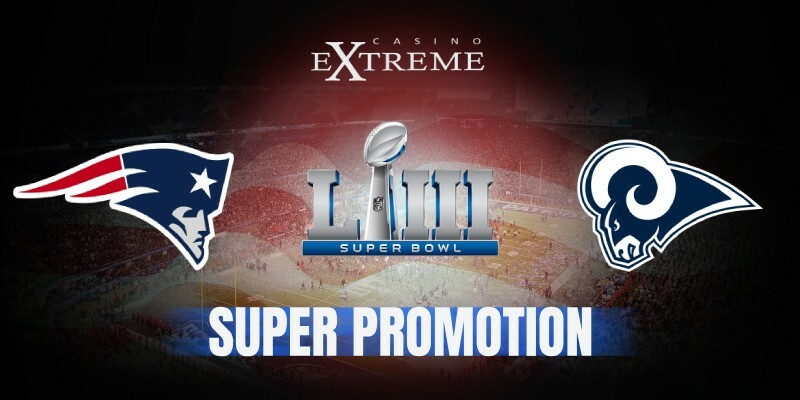 Casino Extreme is selling tickets for the game. Redeem either the coupon RAMS80 (to bet on Rams) or PATRIOTS80 (to bet on Patriots). Coupons will give you 80% Boost on your deposit as well as enter your name in prediction game for the Super Bowl. 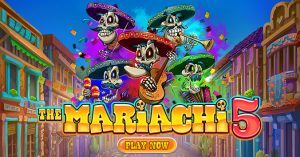 After the game, if you have guessed the winner (Redeemed RAMS80 for RAMS or PATRIOTS80 for Patriots) you can head to your casino account and redeem the coupon WINNER and will receive 53 FREE SPINS. Before you enter the competition please read full terms below thoroughly. Either RAMS80 or PATRIOTS80 may be redeemed per account, IP, Household and you may not redeem both coupons. We all know that games are not always won by the team that rushes the most yards but we all love to see the team fight for every yard. We have also prepared a 2nd guessing game for you with the coupons, RUSHRAMS and RUSHPATRIOTS that not only enter your name in the guessing game but also get you 30% deposit boost. Guess which team will get more rushing yards by redeeming RUSHRAMS (for RAMS) or RUSHPATRIOTS (for Patriots) and if after the game your team has rushed more yards claim your 53 FREE SPINS winnings with the coupon RUSHWINNER. Either RUSHRAMS or RUSHPATRIOTS may be redeemed per account, IP, Household and you may not redeem both coupons. Each coupon may only be claimed by those accounts that have entered and guessed the correct team for both winner and rushing yards. 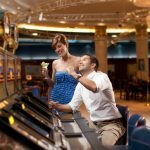 Now to grand prize, Casino Extreme has a special CASH PRIZE waiting for the lucky player who guesses the score! 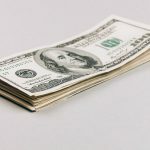 $100 in cash with NO STRINGS ATTACHED? 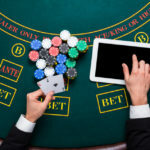 Cash out, or play with it! Your choice. 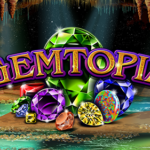 Simply leave the comment below with your prediction of the exact score and user name up to the very start of the game and you will automatically be entered into the grand prize $100 CASH. You need to have left a prediction of the score in full in the following format: PATRIOTS: Score RAMS: Score Username: Your username. Only one prediction may be left per username, IP, account or household. You need to have at least redeemed one of the following coupons: RUSHRAMS, RUSHPATRIOTS, PATRIOTS80 or RAMS80. Cross your fingers, root for your team and after the game come back for your prize! PATRIOTS: 33 RAMS: 28 Username: paul101. Super Bowl just started which means that our game is over. Thank you for all your predictions, we wish you luck. When the game will be over, if you match the exact score, come back for your prize.